I realized today that I haven’t blogged at all since Deny released. Not a good way to go about keeping up my social media presence. It’s the day after New Year’s, so it’s as good a time as any to look back and reflect. God did so many amazing things in my life this year, I’m still blown away. Especially once I started making a list. 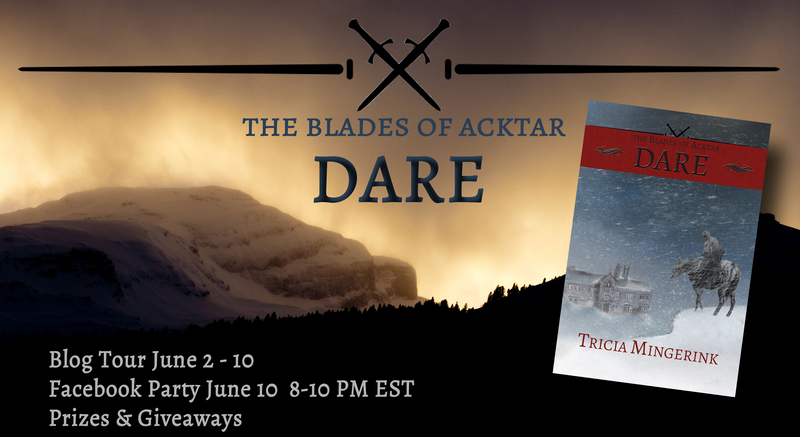 This time last year, I had just finished writing three manuscripts for what I had called The Blades of Acktar. I wasn’t sure what I was going to do with them or what publishing route God wanted me to pursue. I was waiting for my first professional edit to come back on Dare from Nadine Brandes, an editor I was just beginning to get to know. I’d just connected with Angie Brashear online and began pestering her with questions on indie publishing. And I’d just heard of Jaye L. Knight. I’d only had a blog for a few months, and I wasn’t even on Goodreads yet, much less most of the other social media sites. Crazy, when I think about it. Now I have so many writing friends online I’m blown away. I connected with the wonderful Kim Moss through a book launch team we were on together. Angie Brashear became a prayer warrior who helped pray Deny into existence. I don’t know what I’d do without Nadine as a friend and mentor. And Jaye’s encouragement has been amazing. All the other bloggers and fellow authors who volunteered for my launch team: Claire, Shantelle, Hope, Alyssa, Abigail, Jessica, Gabriela. Sierra, my amazing critique partner who helped so much. All the fans who have contacted me or written reviews or simply interacted in some way on line. I can’t believe that a year ago, I didn’t really know any of you. I now have two published book and a third in the process of publication. My three book series turned into four. Dare hit #1 on Amazon’s bestseller list for Christian Fantasy (sharing the list with such estimable writers as Jill Williamson, Jaye L. Knight, and Patrick Carr. Seriously never thought I’d see my books anywhere near theirs on a bestseller list!). Deny hit the #1 Hot Newest Release in Christian Fantasy for the first month after its release, and both Dare and Deny are still bouncing around in the top 20 on the Christian Fantasy bestseller list. I am so blown away by the response to these books. I’m excited to see what God does with 2016. Today, I’m really excited to share with you Chasing Secrets, the newest release by Kim Moss. I had the privilege of reading an earlier version, and I’m reading the final version right now, and it’s even tighter and more amazing. Kim Moss is a wife, mother, teacher, and author ….and now a blogger! She lives in Dallas, Texas with a very amazing husband and two young “super hero” boys who inspire her daily. She’s been writing ever since she could hold a pencil. She actually wrote her first YA novel on a yellow legal pad in junior high school, and she hasn’t stopped writing since! She is a teacher by day, and a novelist by night. When she’s not writing, she enjoys spending time with her family in the great outdoors. Some say he’s a dead end. To her, he’s an escape. An detour from decisions and doubts. If she takes his hand, there may be no turning back. What Bailey thought would be her perfect senior year has turned into the perfect mess. Nothing has gone according to plan. Her relationship with her new stepmom is strained. Her long-distance relationship has her tied to the phone, and the new guy in school is taking over her job as senior editor of the newspaper. To top it all off, the one person she knows she should probably stay away from is the one she can’t stop thinking about. Just like the wheels on his motorcycle, Liam Garrett’s life is spinning out of control. Ever since his dad went to prison, he’s been lost. A loner by nature, Liam has a hard time making friends at his new school. His job as co-editor of the yearbook places him at odds with the one person he feels connected to. And when a fatal hit-and-run rocks this small town, Liam feels more alone than ever, stuck in the prison of his own secrets. A chance meetings one morning sets these two on an unexpected path, chasing secrets that could change everything. Without her compass, will Bailey be able to navigate this uncharted territory, or will she get lost in it? This is actually book 3 in the Bailey Baxter series. You can read more about books 1 and 2 here and read my review here. The Bailey Baxter series, Leaving Nelson, My Summer Storm, and Chasing Secrets are all available on Amazon. Those who know me know that I don’t read or like many contemporary books, especially contemporary teen books. Often, contemporary teen books try so hard to be modern and hip, even Christian teen books, that I couldn’t even connect with them when I was a teenager. The Bailey Baxter series by Kim Moss is one of the few contemporary Christian YA stories that I really love. It manages to portray the life of a conservative Christian teenager without feeling stodgy, stifling, or sanitized. The characters and their lives feel real because the characters are living the struggle that many Christian teenagers face. It isn’t perfect. The characters aren’t perfect. Their lives aren’t perfect. Chasing Secrets picks up right where My Summer Storm left off. Bailey and Bryce are in their senior year of high school and they are trying to make a long distance relationship work. Bailey is also adjusting to the changes in her own family now that Sarah is her stepmom instead of her teacher and confidant. Bailey had finally moved on after her mother’s death, and now it seems like Sarah is replacing her. And then there’s the new kid Liam who is taking Bailey’s place in school on the yearbook committee. Of all the series so far, this one is by far the most intense. Bailey faces some tough situations in the book, and sometimes her decisions make her already tough situation even tougher. But they are realistic decisions, and the decisions I can imagine making as a high school senior in her situation. There is kind of a love triangle thing going on, but it isn’t the form where a girl is intentionally leading on two guys because she can’t make a choice. The love triangle comes from a hurting girl trying to find someone to comfort her. We’ve all pushed people away when we’re hurting. We’ve all done stupid things when facing grief. And that’s exactly what Bailey does. She isn’t mature enough to handle her grief while maintaining a long distance relationship, and it causes her to look elsewhere for comfort. Like the other books in the series, the Christian aspect is there, but done with a light touch. It doesn’t get overwhelming and certainly not preachy. It feels very authentic to how faith looks like in the real world, and that’s something that’s difficult to pull off in fiction. I loved this latest additional to the Bailey Baxter series, and, thanks to the semi-cliffhanger at the end, I’m dying to read book 4! What about you? Do you ever read contemporary Christian YA? Why or why not? As most of you know, I was a part of Jody Hedlund’s influencer team for her recent release An Uncertain Choice (an awesome book by the way!). It was a rewarding experience, especially in getting to know the other influencers. One of the influencers, Kim Moss, emailed me asking if I’d be willing to read her books and review them. Of course I said yes. And I am super glad I did! Not only did I get to read two wonderful books, I also got to know a fellow Christian author. Before I knew it, I had two book reviews, an author interview, and character spotlights and way too much stuff for one blog post. This blog post will have my reviews and my interview with Kim. Tomorrow I’ll have character spotlights with three of her characters. 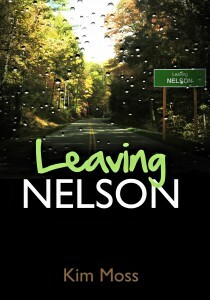 And, to top it all off, I’m having a giveaway for ebooks of Leaving Nelson and My Summer Storm. 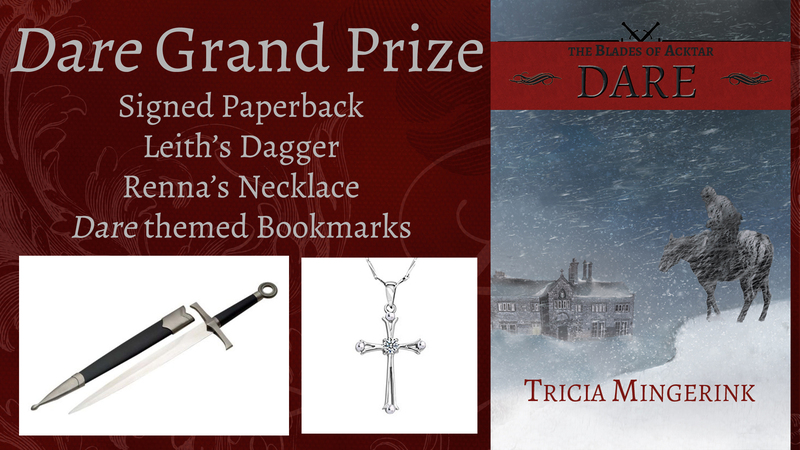 Look for the Rafflecopter entry form at the bottom of this post. So let’s get the fun started. Bailey’s ninth grade year couldn’t possibly get any worse. After losing her mother to cancer, her father decides to move the family back to his hometown in Tennessee. Leaving Nelson, the only home she’s ever known, is the icing on the cake. Uprooted from the familiar, with wounds left unhealed, Bailey attempts to hide in the shadows of strangers. However, as the daughter of Fulton’s hometown hero, she catches the attention of many—foiling her plan to simply blend in. Worst of all, the biggest jerk in school has decided to make her his special project. 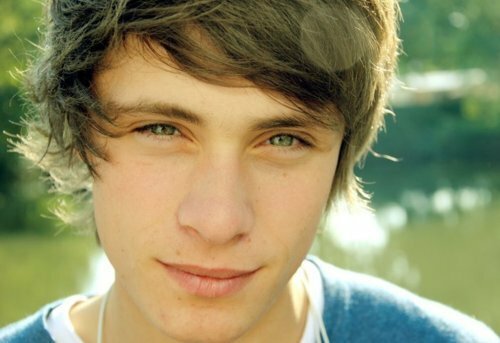 Then Bailey runs into the cute, shy boy from her English class. His charm and lopsided grin give Bailey a reason to smile again even in the midst of her pain. Could he be the one putting poetry in her locker? As new friendships take shape, Bailey’s bitterness and resentment begin to slowly melt away. Just as her faith is restored, a secret is discovered. A painting of a young girl that dates back years before her birth now threatens to ravish the relationships with those she has grown to love.On a quest to reveal the truth, Bailey discovers that, though she had a difficult time leaving Nelson, what she finds in Fulton may just be what she has been searching for all along. The beauty of this book is not in its fast-paced action scenes or heart-thumping danger. Normally, that is the type of book I pick up. Leaving Nelson is the story of an ordinary, fourteen-year-old girl, Bailey Baxter, who has lost her mother and forced to move several states away from the place where she has grown up. She has to start over with new friends in a new place while trying to heal from the pain of losing her mother. The writing drew me in until I couldn’t put the book down while I held my breath over Bailey’s inner growth and freshmen in high school drama. The thing that impressed me most about this book was the characters. The characters sounded like fourteen and fifteen year olds in high school. They had drama and bursts and anger and irrational decisions, but it all felt natural to the characters. It is hard to write fourteen-year-olds that don’t sound too young or too old. I felt like the beginning of this book spent a little too much time on back story and revealed some of the early information in infodumps that could have been worked into the story better. Once I got past the first couple chapter, the rest of the story flew by so fast that the beginning didn’t detract too much from the rest of the book. I received a copy of this book in exchange for an honest review. All comments in my review are my own. Nestled deep in the breathtaking mountains of Virginia, Camp Golden Meadows is the ideal place for summer romance. At least that’s what 17-year-old Bailey Baxter thinks when she makes the trip with her childhood friend, Max Martin. A summer away is the perfect escape from her father’s budding romance, and it just might be her chance to kindle a romantic fire of her own with Max. Bailey packs all of her hopes and wishes for summer love in her suitcase next to a photo from her past. But when an unexpected turn of events bring old feelings to life, jealousy and betrayal unpack their bags. At odds with one of her roommates and haunted by feelings she can’t ignore, the summer isn’t turning out the way Bailey had planned. In the mountains, where storms are intense and often unpredictable, Bailey learns that love often behaves the same way—with great power and the potential to cause damage. 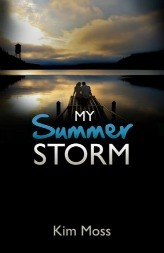 Will Bailey find happiness in the midst of this perfect storm, or will it drown out the fire between her and Max? I loved My Summer Storm even more than Leaving Nelson. The writing of this book is even better than the first book. In this book, Bailey is now seventeen. Once again, the characters sound their age. Bailey sounds like a seventeen-year-old. Her decisions are more thought-out. Her faith plays more of a role in this book than book 1. In book 1, Bailey was just beginning to grasp what faith means for her. In this book, she depends on her faith to help make decisions in her life. Although this book covers an entire summer, I never got bored. Once again, the ups and downs of Bailey’s life were written in a compelling manner that kept me reading. In the interest of full disclosure, I bought this book myself since I loved the first book so much. All my comments are my own. Kim Moss is a wife, mother, teacher, and author. She lives in Dallas, Texas with a very amazing husband and two young “super hero” boys who inspire her daily. She’s been writing ever since she could hold a pencil. She actually wrote her first YA novel on a yellow legal pad in junior high school, and she hasn’t stopped writing since! She is a teacher by day, and a novelist by night. When she’s not writing, she enjoys spending time with her family in the great outdoors. What inspired you to write Leaving Nelson? What about My Summer Storm? Leaving Nelson was inspired by the death of my mother when I was fifteen-years-old. She was an incredible woman, just like Bailey’s mom. She always wanted to write a book about surviving cancer, but she never got the chance. I feel like God gave me this story to write for kids out there who may have lost a loved one. It’s for them to see that He can use both the good and the bad things in our lives for a bigger purpose. My Summer Storm was written because a few of my beta readers begged me to write a sequel after reading Leaving Nelson. They wanted to read more about Bailey’s budding romance with Bryce and her confusing feelings for Max. I chose to send Bailey to summer camp because (let’s face it) summer camp is the perfect place to fall in love! I spent several summers as a camper and as a camp counselor, and many of my favorite memories were made on the shores of a lake in the hot summer sun. I also wanted to write a true love story, one that’s not just focused on romance, but on how God ultimately brings two people together who value each other and His plan for purity. Your mom sounds like she was a wonderful person. Your emotion over your mom comes through in the books. I’ll admit, I cried a couple of times in Leaving Nelson when Bailey described her mom. You mentioned these books are part of a four book series. When is the next book coming out? I’m so excited about Chasing Secrets. It is the third book in the series, and it is set to release late this summer. It picks up right after camp, so those of you who are waiting to know what happens next with Bailey and her friends will not have to wait much longer. Including me! I’m counting down the days until summer! You’re an indie published author. What made you decide to pursue indie publishing? It was a very hard decision. I guess it all boils down to creative control. I honestly didn’t want anyone to change Bailey’s story in Leaving Nelson. It was such a personal project for me. I’m not opposed to traditional publishing in the future. I would eventually like to find an agent and have my next series (written in the perspective of one of Bailey’s friends) published through a Christian publishing house. You did a great job! Best wishes with whatever route you go in the future! 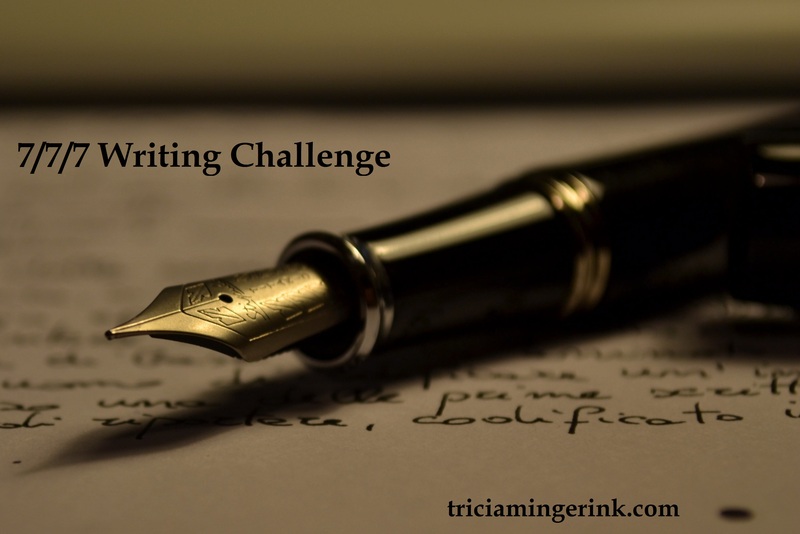 What is the hardest part of indie publishing? Marketing. Hands down. It’s hard to get the word out without “selling yourself” all the time. That’s my biggest problem as an indie publisher. It’s hard for me to tell people, “Oh yeah, read my book!” without feeling awkward. I’m just not that kind of person. My hope is that people will read about Bailey and her friends and spread the word—that people will want to introduce these lovable characters to their friends, students, and family members. That’s been my biggest reward so far. It’s been really neat to see how readers have responded to these characters. I’m glad I could help get the word out! One last question: Chronicles of Narnia or Lord of the Rings? I say that simply because I’ve read them several times with my students. I teach elementary school, and we love spending our fantasy unit with C.S. Lewis. I must admit, though, I’m currently reading The Hobbit with some of my advanced readers. I was in elementary school when I first read The Chronicles of Narnia. It is an experiences that sticks with a person. Thank-you so much for spending some time on my blog, Kim! Check back tomorrow for character spotlights on three of the characters from Leaving Nelson and My Summer Storm!